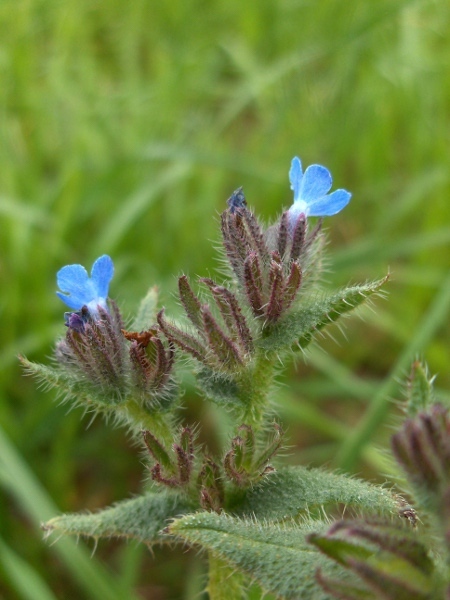 Synonym | Anchusa arvensis (L.) M. Bieb. Anchusa arvensis is a hispid plant that grows over sandstone and in sandy soils; its corolla-tube has a distinctive bend. 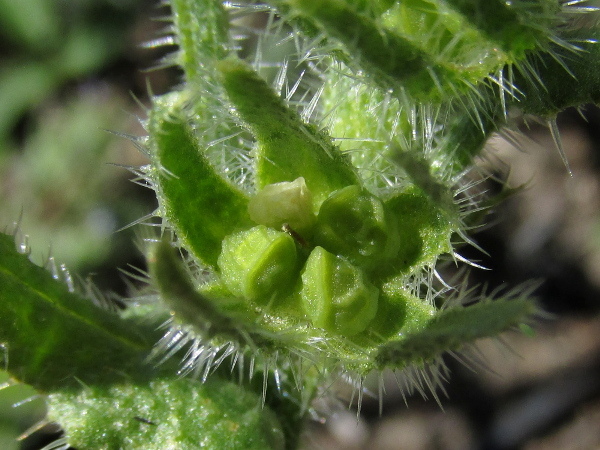 The four nutlets of Anchusa arvensis are wrinkled.